The tycoon’s Fox looks set to deflect regulators’ objections to his bid for UK TV group Sky. But hedge funds could block the deal. The deep pockets of Disney, soon to own Fox, and the hope that cheaper soccer rights will boost Sky’s profit may stir them to seek a higher price. The Sky logo is seen on outside of an entrance to offices and studios in west London, Britain June 29, 2017. 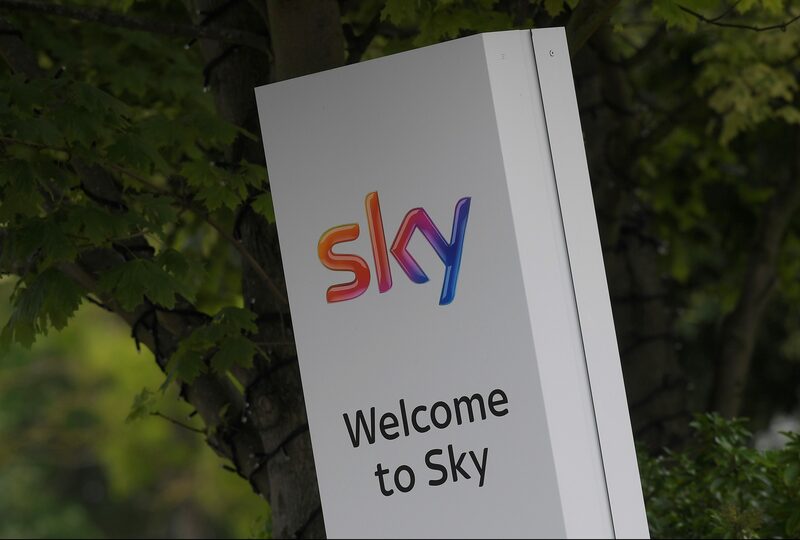 British pay-TV group Sky’s revenue in the six months to the end of 2017 was 6.7 billion pounds, it said on Jan. 25. That was 5 percent higher than the same period in 2016 excluding one-offs and currency moves. Hedge funds on Jan. 24 owned shares and derivatives equivalent to around 13 percent of Sky’s share capital, according to a Breakingviews analysis of regulatory filings on Thomson Reuters Eikon. Boston, Massachusetts-based Baupost Group has a 4.6 percent stake according to a January filing, while HBK Investments disclosed that it held derivatives worth 2.4 percent of Sky’s capital on Dec. 28. Other investors included AQR Capital Management, Pentwater Capital Management, Magnetar Capital Partners, Canyon Capital, Odey Asset Management and Abrams Capital Management. Hedge fund manager Crispin Odey, whose fund is a 0.9 percent investor in Sky, in December argued that Sky should fetch a higher price following Walt Disney’s $52 billion deal with Twenty-First Century Fox, announced on Dec. 14. "Basically, here is Fox being bought-out on 12 times cashflow," Odey told Reuters on Dec. 18. "If we [Sky shareholders] were being sold on 12 times cashflow we'd be at 12.30 pounds." Britain's competition watchdog on Jan. 23 provisionally ruled that Twenty-First Century Fox’s 11.7 billion pound bid for the 61 percent of Sky it does not already own would act against the public interest, but proposed remedies to alleviate its concerns. Sky shares were trading at around 10.34 pounds at 0915 GMT on Jan. 25 – about 4 percent below the Fox offer price of 10.75 pounds per share.